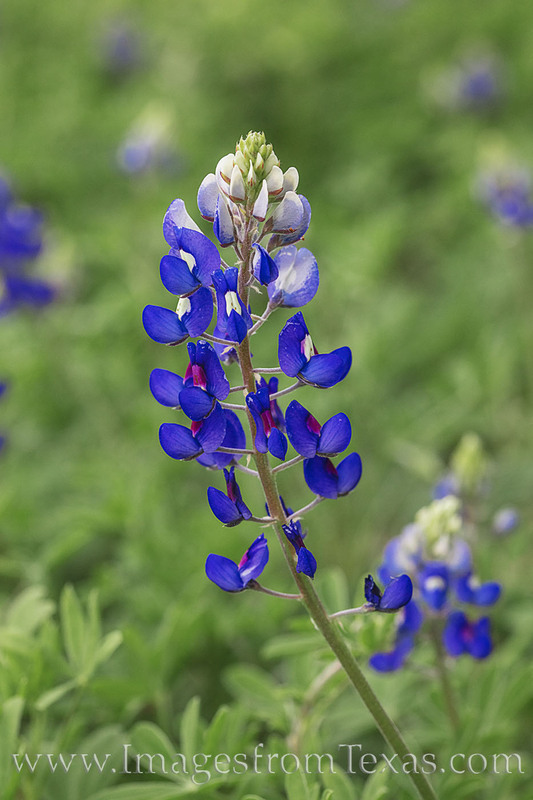 Lupinus texensis, or Texas bluebonnet, is a Texas favorite among wildflowers. It is also the official state flower of the Lone Star State. Once known as buffalo clover, these blue wildflowers seem to put everyone into a state of wanderlust when springtime comes. This portrait of a single bloom was taken on a calm evening in the Texas Hill Country. Photo © copyright by Rob Greebon.